If you want to get better at something, there’s no substitute for practicing it. Likewise, the best way to create better readers is to get kids to read more. In ‘Ten Ways to Cultivate a Love of Reading in Students,” (edutopia.org, Feb. 13, 2013,) teacher and author Elena Aguilar gave some practical suggestions for nurturing the love of reading. Here are some of her ideas, and some tools to support them. Several of Aguilar’s suggestions center around creating a social aspect to reading. She said this is especially important for boys. First of all, said Aguilar, teachers should model reading themselves, and should talk to their students about the books they are enjoying. Secondly, Aguilar suggested setting up a book club or reading group for students. She noted how many adults enjoy Goodreads and wondered if there is an equivalent for children. There is — the website Biblionasium.com. Free to use, and ideal for classroom use, Biblionasium keeps track of books that students are reading and, at teacher discretion, allows students to share recommendations and book reviews. It also allows you to post book trailers, author interviews and other related videos. It has many useful features, including the ability to organize readers by reading group, classroom, or grade. 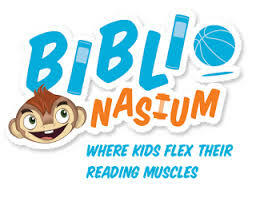 You can search for books based on author, title, subject, or reading level; creating challenges; and generate reports, Biblionasium also lets you e-mail parents and find reading resources. Aguilar suggested hosting a “Read-A-Thon” at the school as a fundraiser. But you need to save class time for other learning, it’s helpful to let kids check books out, though it’s no fun when books go missing. For teachers who have created their own classroom library, or for administrators or librarians at a small school, there’s a great free app to keep track of reading materials and who has them. It even provides a way to buy replacement books at discounted prices. Called Booksource Classroom Organizer, it is a website and smartphone/tablet app that work together to keep track of your books. It is available for Android and iOS. Booksource Classroom Organizer creates a database of your books, and keeps track of check-outs! Booksource Classroom Organizer organizes books primarily by ISBN number, which you can scan with your phone or enter by hand. You can enter books and magazines without an ISBN number. But the ISBN number is helpful because it provides book information such as title, author, guided reading level, page count, and other details. Once students are entered into the system, they can check books out, and can log into the website to see when books are due. Teachers can see book details, whcih are checked out, and who has them. Reserving class time to play a well-performed audio book for the students benefits them with a lovely listening opportunity while giving you time for lesson planning or other activities. If you do a Google search for “free audio books”, you can find free, good quality audio books online, as long as you have an Internet connection and a good pair of speakers.. If you look carefully you can find some through YouTube. For example, the entire Harry Potter series, read by Jim Dale, is available on YouTube, as are links to the Stephen Fry version. You can download audio books from sources such as Audible.com or Amazon.com. Many audio books are also available on CD or cassette tape; the library is a good source. Finding topics which interest the student is the most important factor in encouraging reading for pleasure. For teaching middle school boys, Aguilar suggests reading a couple books for ideas: “Reading Don’t Fix No Chevys: Literacy in the Lives of Young Man”, by Michael Smith and Jeffrey Wilhelm, and “Teaching Reading to Black Adolescent Males: Closing the Achievement Gap,” by A. Tatum. There’s also an app for this. Flipboard, available for free on Android and iOS devices, asks users what their interests are, then provides articles which match that interest. Although the app is geared toward adults, the list of topics is long. and includes kid-friendly items such as “Cute Animals,” Rock Music,” “Pets,” “Indy Car,” “Cool Stuff,” “Snowboarding,” “Mobile Games,” “Movies,” “Cooking,” and many others. (Note: The “Gaming” title refers to video games, not gambling.) 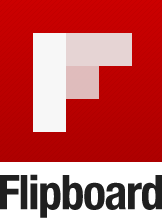 Flipboard requires that the student has an e-mail address or an account on Facebook, Twitter, or Google Plus. Another way to alert your kids to current events is the web-based Newsela, which enables teachers and parents to direct student reading, and allows selection of news articles by reading level and topic. Newsela allows you to create quizzes for students to test reading comprehension. If your students are Harry Potter fans, the Pottermore website offers opportunities for high interest reading, including character profiles and details about wizarding schools in other countries. Although not a tech tool, the “Who Was” series of biographies are well regarded and popular even with struggling readers. They are reasonably priced and average about 100 pages long. Tagged "Who Was" book series, Audible, audio books, Biblionasium, Booksource Classroom Organizer, flipboard, Newsela, Pottermore, reading. Bookmark the permalink.